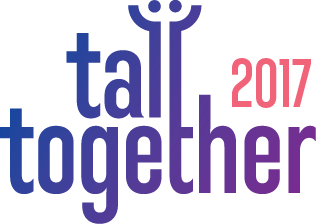 Tall Together is a trade fair especially for tall people where clothing and shoe brands, bicycle suppliers, office chairs, etc. have stands and where tall Dutch people come to browse! The 2017 event is being held on Sunday, October 29 in Expo Hoevelaken, NL. Hoevelaken is central and easily accessible by car and public transport. Are you coming by car? Go well prepared for the road and check for current information and disposal at the Dutch website www.vananaarbeter.nl. Expo Hoevelaken has 800 free parking spaces. Do you get public transport? Look at the Dutch website www.9292.nl for the right train and bus connection. Expo Hoevelaken is located directly on the motorway and next to the trainstation Hoevelaken. Hoevelaken approaches you via the highway from all directions. Copyright © 2019 Tall Together All Rights Reserved.